Following Justice Dave’s recusal from the Constitution Bench set to hear the case relating to the validity of the National Judicial Appointments Commission, Justice J.S. Khehar has replaced him in the re-constituted Bench, reports The Hindu. The New Bench would start hearing the batch of 8 petitions from April 21. Justice Dave had recused himself from hearing the case. The step taken by the Supreme Court Judge came after senior lawyer, Fali S. Nariman, who represents the Petitioner- Supreme Court Advocates-On-Record Association, raised an objection. According to Mr. Nariman, the provisions of the Constitution (Ninety-ninth amendment) Act, 2014 and of the National Judicial Appointments Commission Act, 2014 came into force from April 13, 2015. Consequently, Justice Dave became a member ex officio of the National Judicial Appointments Commission, the validity of which has been challenged. 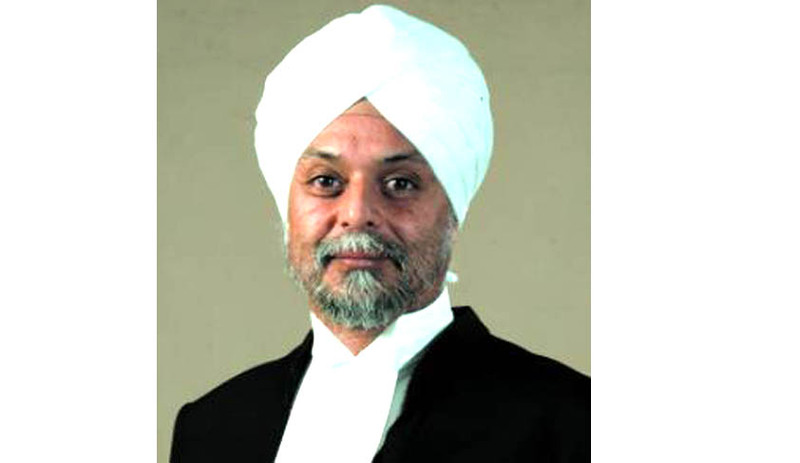 His note hence stated, “It is respectfully submitted that it would be appropriate if it is declared at the outset- by an order of this Hon’ble Court- that the Presiding Judge on this Bench will take no part whatever in the proceedings of the National Judicial Appointments Commission.” Read the LiveLaw story here. On 13th April, the Central Government notified the NJAC Act to come into force with immediate effect. As per the PIB release “The Government today notified the National Judicial Appointments Commission Act, 2014 and the Constitution (Ninety-ninth Amendment) Act, 2014 for bringing in a change in the existing system for appointment of Judges in Supreme Court and High Courts.” Read the LiveLaw story here. Last week, a three Judge bench of the Supreme Court comprising of Justice A.R. Dave, Justice J. Chelameswar and Justice M.B. Lokur referred to a larger bench, a batch of Writ petitions challenging the Constitutional validity of the NJAC Act. The Supreme Court had said that it would proceed on the merits of the matter only after deciding whether the Petitions were maintainable or not. This was because the law was not notified yet. However, with this surprise notification, the question of maintainability is now redundant. Eight fresh Petitions, challenging the law, were filed earlier this year. The Petitioners were Supreme Court Advocates on record Association (SCAORA), R.K. Kapoor, Bhim Singh, Bishwajit Bhattacharya, Centre for PIL, Manohar Lal Sharma, Change India, Mathes J. Nedumpara and Bar Association of India.